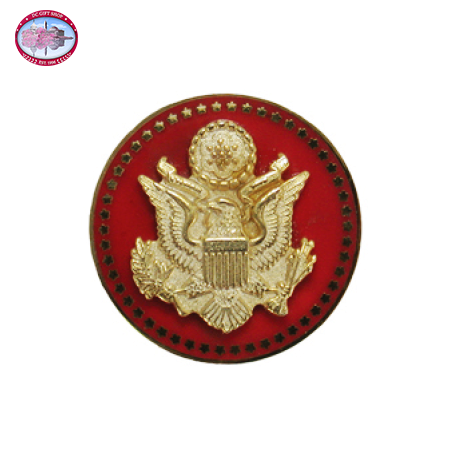 the Great Seal lapel pin in Polished gold electroplate, red enamel background, 7/16" with ball clutch. Packaged in two-piece gift box. Complete your attire with our Great Seal Cufflinks.